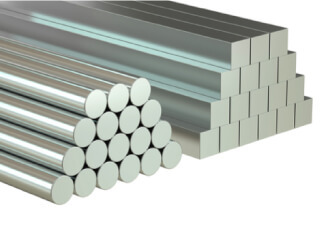 Bright steel round bars are stronger than steel round bars with lower carbon content meaning that they can withstand more excursion. They can also be polished very effectively creating an extremely aesthetically pleasing fence design whilst keeping practicality and strength. Reliable structure construction is guaranteed with our bright steel round bars due to the fact that they are treated and durable. Bright steel also retains some workability resulting in a stronger steel structure with a polished finish. Bright steel is treated and annealed after production which often eliminates the need for further treatment. Higher carbon content also results in a stronger form of Steel. 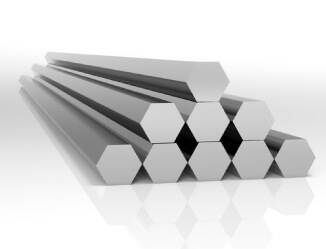 Bright steel square bars are often used to create fencing and frame structures due to the fact that these bars are strong and dense but can also be drilled into and remain recyclable due to their low carbon content. Bright steel combines workability with strength due to higher carbon content than milder steels. This results in a polished finished metal that is still extremely strong. Fencing can be enforced with bright steel square bars whilst retaining the polished annealed aesthetic. Frames can also be enforced with these bright steel bars to again retain polished looks but also increasing the strength of the steel bar. The treated nature of bright steel after the production process results in no need for further treatment being required after final processing. Bright square bars can also be implemented in some fencing designs and this can add to the strength and integrity of these fencing systems. The extremely high strength of bright steel due to higher carbon content ensures that hexagonal bars can be utilised in a wide range of applications most notably within frame building. The polished finish that can be applied to bright steel ensures added aesthetic value and appearance. Hexagonal bright steel bars combine durability with workability and can be utilised in a wide range of construction roles. Frames can be supported or strengthened via the implementation of hexagonal bright steel bars. They are higher strength than lower carbon steel due to a much higher carbon content and are treated after production to ensure that little treatment is required after the bar is tempered.